Friday, March 8, 2019 3 p.m.
Friday, March 8, 2019 6 p.m. The puppet speaks to what it means to be human. It explores its ability to say “I’m here”, and be surprised by this fact. 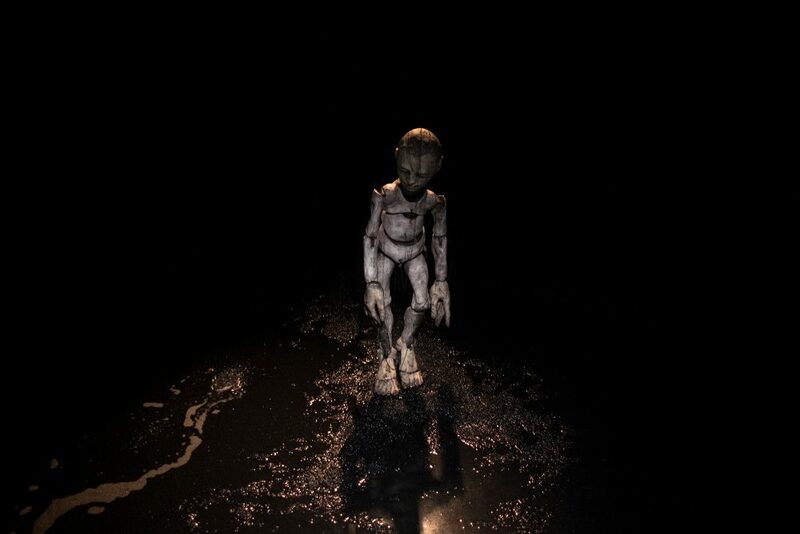 Milieu is a stopover during which a puppet confronts the climatic variations of its environment. Like Samuel Beckett’s short story, The Lost Ones, Milieu portrays a situation that is as funny as it is metaphysical. Renaud Herbin has embraced string marionette techniques and updated the age-old form in the service of contemporary playwriting. 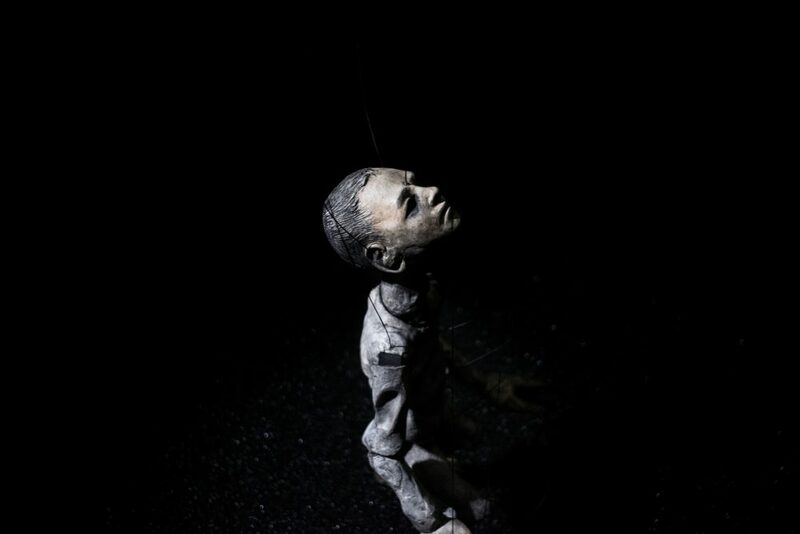 With Milieu, he offers a variation on the notion of puppet theatre set (castelet), as he plays with varying scales and sizes, and with the ways gravity works on a suspended marionette body. Renaud Herbin trained at the École supérieure nationale des arts de la marionnette (ESNAM) in Charleville-Mézières, France. He has directed and continues to direct many visual and sound works, sometimes performing them himself. Most often, these productions are based on literary or dramatic works. Renaud Herbin has always appreciated collaborations that challenge his puppetry practice. Since 2012, he has been General Director of the TJP CDN Strasbourg – Grand Est, where he experiments with the relationship between body, image and object, erasing the divide between matter and puppets by combining choreography and visual arts. He created the following works at the CDN: Actéon, Milieu, La Vie des formes, Wax, Open the Owl and At the Still Point of the Turning World.